Following community-wide backlash over the current state of the game, particularly with the recent XP throttling, Bungie cancelled the final Curse of Osiris livestream and instead posted a blog addressing many issues within the game. The fixes will be tweaks to Destiny 2’s various systems, mainly loot, but won’t fundamentally change the game. So, if you hate PVP you’re still going to hate it. While we wait for those changes, there are imminent updates to the vendor system, with improvements to drop rates of tokens and the ability to buy individual pieces of gear during events like Iron Banner and Faction Rally using tokens and legendary shards. 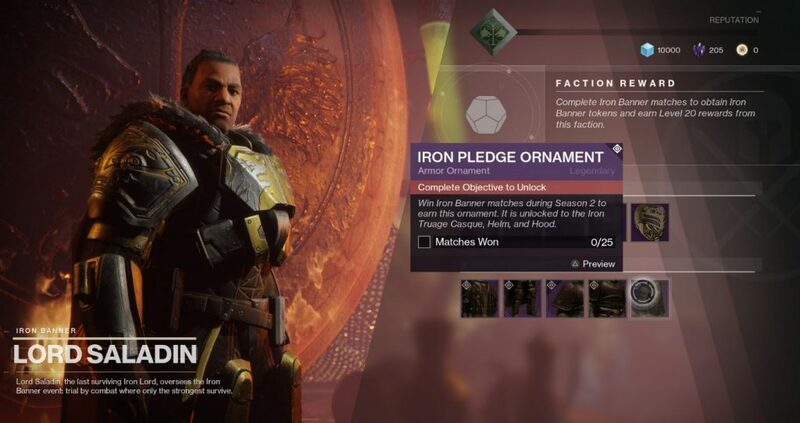 Armour ornaments are also returning, available after certain requirements, such as 25 wins of Iron Banner. These requirements also carry through the season so you don’t have to grind them all in one week. Do these ornaments work on my Christmas tree? 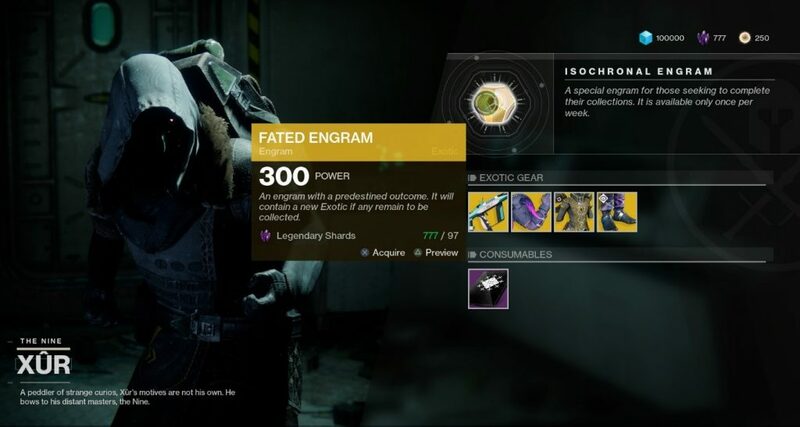 If you’ve stockpiled legendary shards, you’ll also have plenty to spend them on, from vendor gear, to legendary mods, and even Xur, who will sell Fated Engrams which drop Exotic gear that you don’t already have (for a steep price). Three of Coins will also return and boost exotic drops for 4 hours. Guaranteed drops mean fewer bad Xurprises. 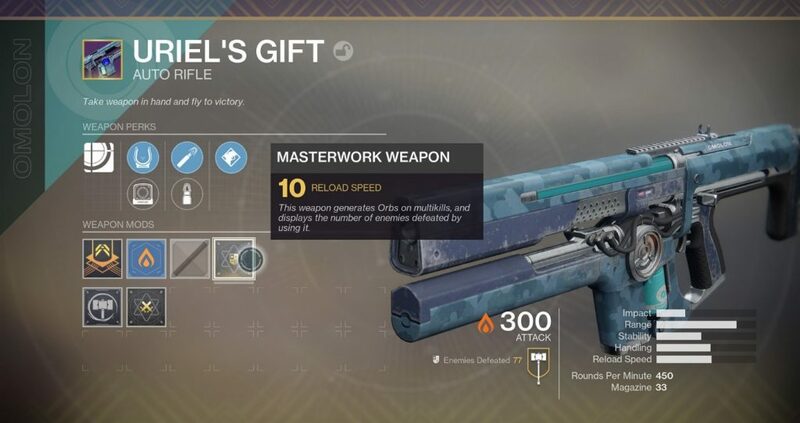 The change I’m most looking forward to is Masterworks. In my Destiny 2 review I said that the mod system needed expansion, and this is a big step towards that. Masterworks are an extra mod slot with new bonuses, as well as tracking your PVE and PVP kills for that gun. The blog also says that Bungie plans to expand the system to armour. The Uriel’s Gift that keeps on giving. All these changes should be available within the first half of December, at or after the launch of the Curse of Osiris expansion, and the blog outlines further updates for early next year, which finally includes private matches. Whether or not that DLC will provide a substantial amount of content is yet to be seen, but coupled with the coming updates, hopefully Destiny 2 is moving in the right direction, rather than stumbling along. Bungie finished the blog by stating, “Going forward, we plan to continue this dialog as openly and frequently as possible. This will be an ongoing process, but one that we are committed to.” A good sign, but something the community has heard MANY times before, so take it with a grain of salt. Because we’re still very salty.